All civilian drones in Europe should be registered, says the House of Lords EU Committee, after an investigation into rules for safeguarding and unmanned aerial vehicles (UAVs). The report comes amid growing privacy concerns about drone use, which can be used by “hobbyists” without a licence and are capable of carrying high-quality video cameras. Security officials are concerned drones could be used to carry out terror attacks. The use of drones in the UK raises significant safety, security, and privacy concerns, according to a University of Birmingham Policy Commission Report, published in October 2014. Privacy groups have raised concerns about the media’s use of drones, while others have said the UK’s air traffic control systems will be unable to cope with the increase in air traffic. The committee said creating a database of drones and their pilots will help authorities manage and track drone traffic. It wants the database to be accessible to the general public. The committee believes the database will help police to enforce rules, capture rogue drones and identify law breakers. With drones becoming commonplace in the UK, the law has been required to evolve and play catch-up. Amazon plans to test prototype same-day delivery drones in the UK as it awaits approval to conduct outdoor tests in the US. Google has revealed it is developing autonomous drones for to deliver goods for disaster relief. The use of drones in the UK raises significant safety, security and privacy concerns. However, the committee’s report warned over-regulation could stifle the drone industry – which is expected to create as many as 150,000 jobs across Europe by 2050, reports the BBC. The report recommended programming drones to ensure they cannot operate in sensitive locations such as airports, prisons and other high-risk sites. The committee also recommends clearer guidance for police on how to enforce existing safety rules, and called for more guidance for commercial drone operators about what insurance cover they need. Committee chair Detta O’Cathain said that, while Europe has the potential to become a leader in drone technology, it would take just one disastrous accident to set the industry back. While some groups have welcomed the committee’s report, others have said the recommendations do not go far enough in addressing the risk of terrorists buying drones overseas for use inside the UK. The recommendations do not address the fact that there is no way of ensuring drone users have the necessary skills to fly them safely, or that they are aware of the relevant privacy regulations. While lawmakers scramble to keep up with drone technology, the UK’s Civil Aviation Authority (CAA) has published rules prohibiting drones within 150m of any congested area and 50m of any vessel, vehicle or structure that is not in the control of the person flying a drone. 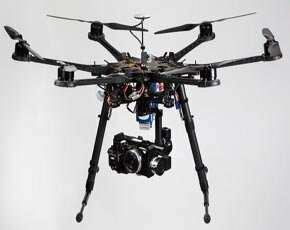 Currently, the CAA bans the use of drones weighing over 20kg, but allows the use of lighter drones if they remain in the operator's line of sight. In an attempt to address privacy concerns, the UK privacy regulator the Information Commissioner's Office (ICO) has added rules on drones to its CCTV Code of Practice, which state that professional users must comply with data privacy rules. However, the ICO said it is good practice for domestic users also to “be aware of the potential privacy intrusion which the use of drones can cause, to make sure they are used in a responsible manner”. Tim Wright, partner at law firm Pillsbury Winthrop Shaw Pittman LLP, said all drones users should tread with care. “It is worth bearing in mind that the ICO has the power to issue on-the-spot fines to anyone not operating their drone responsibly,” he said. Wright also pointed out that drone operators are obliged to process the data collected in line with the UK’s Data Protection Act 1998 (DPA). “They will be required to store the data securely and retain it only for the minimum amount of time necessary, disposing of it or destroying it when no longer required,” he said. Wright said that, in the light of recent accidents, near misses and privacy concerns, drone operators should expect new regulations from the CAA and ICO on the proper use of UAVs.